7 days safari to the world famous Bird Sanctuary of Lake Nakuru, then South over the Mau Escarpment to Kenya's greatest concentration of wildlife the Masai Mara is the most Kenya's most popular game park, with the high chances of seeing all the big five and many other species of game. This is where the great wildebeest migration is a spectacle to behold for any would be visitor to Kenya mainly from July to October every year.Masai Mara has been named as the 7th wonders of the world because of the great wildebeest migration. We also have the walking safari as well as balloon safari in Masai Mara. On arrival at the Jomo Kenyatta International Airport (JKIA) you will be picked up by our representative. You will be given the tour pre-departure meeting at the Airport thereafter you continue to your hotel for overnight. Pick up time from your hotel as from 0730hrs.This will take you like 2.5hrs to get to Lake Nakuru, on the way you stop at great rift valley view point to take the photos. 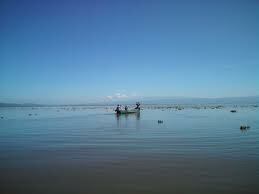 After the photos proceed on to Lake Nakuru arriving around 10:30am. Check in the park and the entire day game viewing at Lake Nakuru National Park, where you will have a chance to visit a unique sanctuary catering for a size able number of the endangered rhinoceros and the Rothschild giraffe. Water bucks as well as the predators such as the lion and leopard are common at the park. Also to be seen is a myriad different variety of bird life in and around the lake. Flamingo's are also plenty at the lake. On this day you will have your lunch at the picnic site at the top of cliff as you view the back drop of the Lake. After lunch proceed for another game drive which takes you until around 1800hrs, then leave the park and head to the Hotel or in the Guest house for dinner and overnight. Enjoy full buffet breakfast in the camp. Check out thereafter and drive via Narok town to Masai Mara National reserve, the land of the Masai tribe. The proud young Masai warrior-nomads with their plaited hair, red cloaks, and spears, challenge your curiosity. The 700-square-mile Game Reserve is the Africa of your dreams, complete with wild animals grazing amid the superb rolling landscape of gentle hills and acacia woodlands. Check in to your lodge; enjoy your lunch in the lodge. There will be time to settle in before your first game drive. Afternoon game drive in the reserve and return to the lodge before dark. Dinner and overnight at Mara mitimingi Camp (LDB). Dinner and overnight at budget hotel. • Daily departures, subject to minimum 2 persons booking.